Government-supported record attempts using sturdy flying boats had the best chance of success. 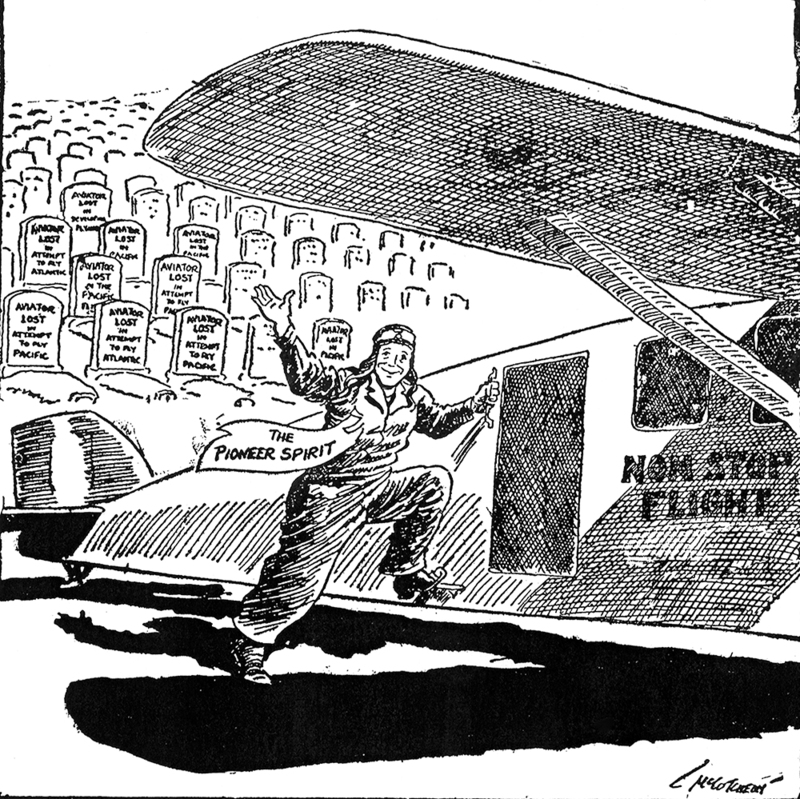 Privately financed flights with land planes flown by amateurs often ended in disaster, as this 1927 political cartoon illustrates. A 1927 political cartoon showcasing the dangers of cross-oceanic flying.